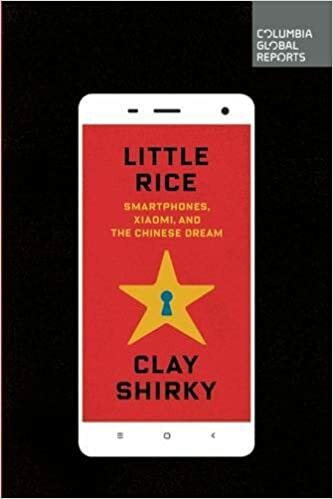 "Clay Shirky talks about Xiaomi, the subject of his new book, Little Rice." Xiaomi started as a are very agile software company with global ambitions , and to this day releases a new version of Android (fork) OS every week, based on feedback from users. In fact the first "product" was a version of Android for Samsung phones that was much more battery efficient that original Samsung's version. In only a few years they become largest seller of phones in China, with focus on "mid-market", and now expanding worldwide. Now they are quickly expanding to other types of "smart" products, using the same technique of quick iterations based on users feedback. "Since the release of its first smartphone in August 2011, Xiaomi has gained market share in mainland China and expanded into developing a wider range of consumer electronics, including a smart home device ecosystem. According to IDC, Xiaomi is now the third largest smartphone maker in the world followed by Lenovo and LG at fourth and fifth place respectively. Samsung remains at the first place despite declining shipment volume, followed by Apple Inc.at second place. Xiaomi also became the largest smartphone vendor in China in 2014, having overtaken Samsung, according to an IDC report"